"Thank you for your prompt service call yesterday. I have purchased our dryer, washing machine, refrigerator and stove from your company (also dishwasher for our small rental) and have confidence in your company." - Diana C.
"Thank you for the great job installing the Sub-Zero fridge. The guys were very polite, professional and pleasant. You have a good crew!...You are a quality store and we will be back." - Marianne W.
Whether you're looking to purchase a new appliance or service what you've got, St. Helena Appliance can help. We stand behind each appliance we sell with professional repair service, just as we've done for the past 40 years. You can depend on our professional expertise, hometown courtesy and solid reputation. We may be your “local guys,” but it doesn’t limit our reach. We can search the country for hard-to-find parts; provide appliances ranging from budget to premium; and deliver, install, and repair anywhere in the Napa Valley (and some places beyond). While we keep current with trends, we continue to offer the same hometown service that has set us apart for decades. 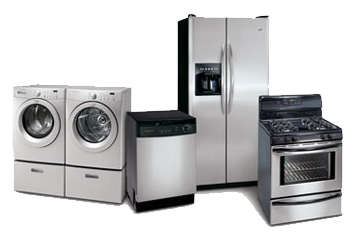 Appliance sales to fit every budget. Professional installation and set up. Authorized service (parts and repair) for: Amana, Blue Star, Crosley, Dacor, Fisher & Paykel, GE, Kitchen Aid, Miele, Sub-Zero, Whirlpool, Wolf and more.